Instagram, as we all know, is a popular social networking service which allow users to take photos and then share them with friends, family members and other followers. 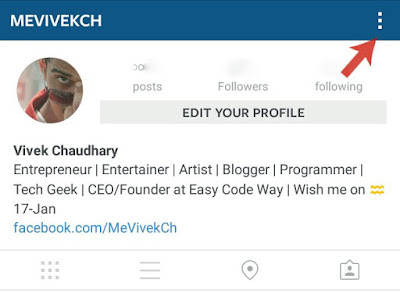 By default, everything you will post on Instagram will be visible to everyone. In fact, anyone can see your profile, follow you and can direct message you any time. 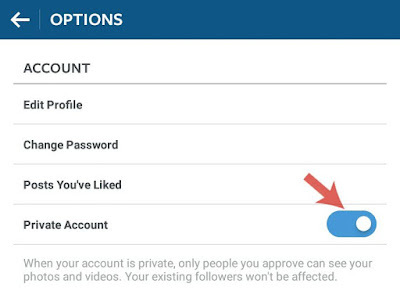 In order to protect user's privacy, Instagram has added few security measures. Almost everything related to you is now in your control. You can choose the audience you want to target. There is an option in settings which lets you make your profile private so that limited people, those who you approve manually, can only see your posts. Here's all what you need to know about this feature. First of all, launch the Instagram app. Now go to your profile and then click menu button (three dots). Next, switch on the "Private Account" button available under Account section and that's it. No outsider will be able to see your activities, posts and followers. They will only see a lock icon on your profile. As like in case of Facebook friend request, when someone will follow you on Instagram, you've to approve or ignore his request from Activity section. Your existing followers won't be affected in any way. However, if you don't want any person to see your posts, you can block him directly. 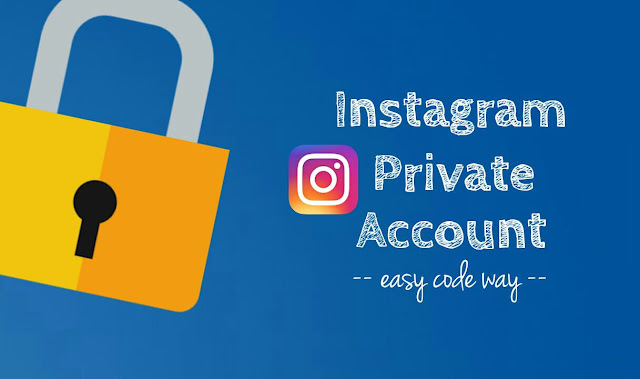 Private posts which you will share on Instagram, may be visible to the public on other social sites like Facebook or Twitter, depending upon their individual privacy settings. Why you should not make your account private? Profile will not be visible to search engines - If you will make your Instagram account private, it won't be visible in search result pages (SERP) of search engines like Google, Yahoo or Bing. And even if it appears, you will lose major ranking. Gives unprofessional touch to profile - There is no doubt in fact that the first impression is the last impression. Tell us how it feels when you visit someone's profile and found that it's private? In order to give a professional touch to your profile, you should make everything public. Missing a great potential - Obviously, when your account is private, no one will be able to like and comment on your photos and thus you are missing a great potential to reach a new level of audience. Furthermore, there will be no benefit of using hashtags. Less secure - People can still view your photos from other sources like from your friend's phone or by using other third-party websites or apps, even when they are set to private. Now I just hope that you have complete knowledge about the topic. It's all up to you whether you want to make your Instagram account private or not. If you would like to add something in this tutorial, please do share it in the comments.